I had a piano lesson the other day, the first of (hopefully) many. I did it with my son, a parent-child class. It was basic stuff, nothing more than I already knew, but it helped solidify a passion for music in him, and began the fulfillment of a long-term dream of mine, to play the piano. I wrote about it on Facebook, as one does these days, and a friend pointed out that it takes a lot of courage to step into a dream. Piano, for me, was easy, maybe because I’m doing it for my boy as much as I am for myself, but it made me think about those other dreams I’ve harboured over the years, especially the wild ones, the big ones, the ones that I would never ever give myself permission to doubt that they’d ever come to pass because that doubt stood waiting at the door like a death shadow, like a smoke-haze, ready to seep in any little crack and snuff that little dream candle like the fragile life it was. My dream, my deepest and most heartfelt dream for many years – more years than I care to count (and I kid you not) was to travel overseas. For a long time it looked about as realistic as my (spayed) cat giving birth to puppies, but in 2011, the year of the First Great Miracle, I did it. I had no idea that stepping into the fulfillment of a dream would mean the ripping open of the fragile dream-shell I’d protected and nurtured for so long. Nobody ever said long dreams were easy things to bear though, and anybody who dares say it is probably lying, or their dreams are young and fresh and they haven’t had to withstand the sun-fading and wind-hardening and brittling of them. You know what I mean? It’s not until you hold up a dream against the reality that you understand how one is faded. Dreams have to die to make way for the reality they represent. The reality will always be fresher, bigger, lighter, brighter, better, but the death of the dream is still a funny little grief to bear. Or is it just me…? For those who have been following my blog regularly you’ll know that we’ve just bought a new car, I’m about to go overseas for the first time, I’m stepping into crazy new territory on a personal level, and, just to cap it all off, we’re in the middle of a real estate/building “property development” (SMALL scale) thingo. I’m a mother. And a writer. I have a small and fairly uneventful part-time job. What the hell am I doing with all this STUFF???? Since when did I need a lawyer and an architect and a contact person at the council? Since when did I count my budget in the thousands, not the tens? Since when did I have more US Dollars in my savings account than Australian ones? (Well that last one is easy – that would be since Wednesday, because the exchange rate is so good right now). Since when have I been the woman who throws out old clothes and buys new ones, instead of just “making do”? Since when? Since, I guess, since I started saying “Yes” to radical things, in faith, that were really a bit beyond my understanding. Since I believed. (If you want more details about my “saying yes”, go read this post here. I don’t know what I’m doing right now. I’m probably making ONE KAZILLION AND ONE mistakes. And then some. I think I’m annoying some people. It doesn’t matter. Here’s one thing I know: I’m not a details person. I never have been. 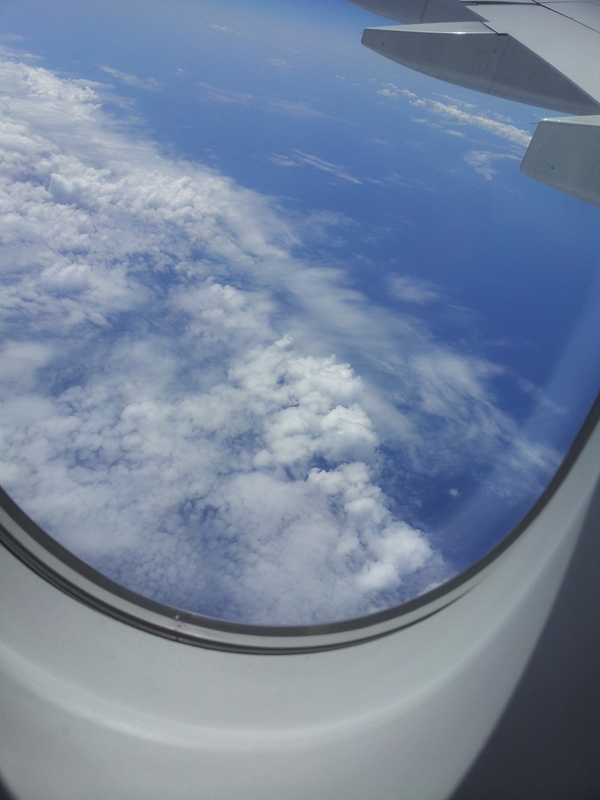 I’m an arty-farty head-in-the-clouds creative daydreamer. Here’s another thing I know: It Doesn’t Matter. Yes, there are people who would be much, MUCH better and more qualified than me to do all that I’m doing now. Yes. There are many, many things that could go wrong in all of this, too. I’m choosing not to look. Some people (details people) might call this stupidity. I call it vision. Or faith. I’m holding arty-farty metaphorical hands with the blokes in the bible who, when God told them to go check out the promised land, came back and said “Yeah, let’s go for it!” not the ones who came back in fear and complained about how hard it was going to be. 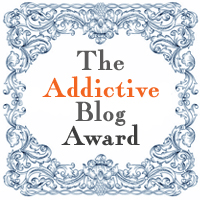 Oh, and on a completely different note (so different that I can’t even think of a segue), the wonderful Andrea Kelly has nominated me for the Addictive Blog award. Thank you!!! The equally wonderful Pat Bailey nominated me for the same thing a few weeks ago, but I was too all-over-the-place to know what to do with it. Thank you!!!! Thank you all for reading my outpourings week after week, and thank you for liking, and for commenting, and for saying Hi. It means so much, I have LOVED meeting my readers, you make it all worth it. Thank you ALL! (Oh my…this is sounding like an acceptance speech…) THANK YOU!!! I know there are rules with accepting these things, like nominating a bunch of others.. I’ll get to that…soon. Promise!